Hidden just below the surface at Buffalo State are two elaborate sets of tunnels that date back to when the college first moved to Elmwood Avenue in the 1930s. The purpose? That depends who you ask. 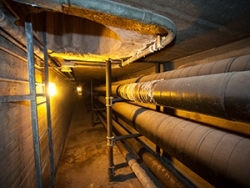 One set of tunnels has been used to carry utilities since the campus was built, and they continue to serve that purpose. The other set, connecting the Campbell Student Union with several residence halls are more mysterious, as the exact date they were built, and what, exactly, their purpose was remains clouded in conjecture and lore. The tunnels are not open to the public. 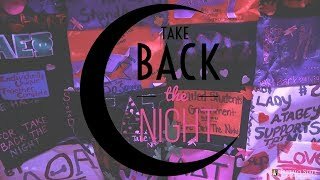 Stories done on the tunnels in old issues of the Record, Buffalo State’s student-run newspaper, point to a variety of reasons for their existence. For instance, in an article from 1970s, then Physical Plant Director Robert Broomfield told the paper that tunnels connecting the Campbell Student Union to Chase Hall, Perry Hall, and Cassety Hall were built in the 1960s due to fears over a nuclear attack. However, in another article penned in 1983, the tunnels connecting the Union and residence halls are dated back to the 1930s and said to be built for pedestrian use. George Rackl, former Physical Plant engineer, says the tunnels were closed due to civil unrest in the 1970s. In yet another Record piece from 1974, The tunnels under the residence halls were closed off to students for several reasons. According to Brian Cole, former director of Physical Safety, people were using the tunnels to break into offices and dorm rooms. People were also coming in off the street, former Physical Plant Director Joseph Groupil told the Record at the time, and setting up living arrangements. 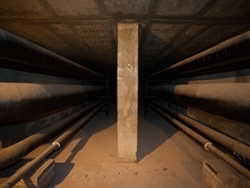 Rackl appears in another Record article on the tunnels, this one from 1974. In that article, he again says the tunnels were closed due to student unrest, citing the Vietnam War. A spate of issues led to the closing then, he said. The tunnels allegedly have “great acoustics,” according to an article in 1300 Elmwood from 2016. In the piece, alumnae Leslie Cohen and Beth Suskin describe going into the tunnels to practice singing and playing the bongos. A second, more expansive set of tunnels were built to transport steam to buildings around campus. These tunnels vary in age as the college expanded over the years. Some are walkable, while some are not, said Brian D. Wittmer, Design and Construction manager. When the campus was first built, Wittmer said, it consisted of five buildings: Rockwell, Bacon, and Ketchum halls, the Savage Theater and Communication Building (the old gym), and the old President’s house. From there, the tunnels expanded, as other parts of the campus were built up. As the campus grew, so did the Buffalo Psychiatric Center. They had a need for additional heat as well, Wittmer said. “This was roughly the late-1940s, early-1950s,” he said. The Power Plant and the Bakery and Laundry building (built where the Technology Building is now) were built in the same decade, Wittmer said. Tunnels from those buildings went all the way to the Psychiatric Center, providing heat, laundry, and food services to the residents of the Psych Center. For the most part, Wittmer said, the tunnels are still used to carry steam to campus buildings for heat.